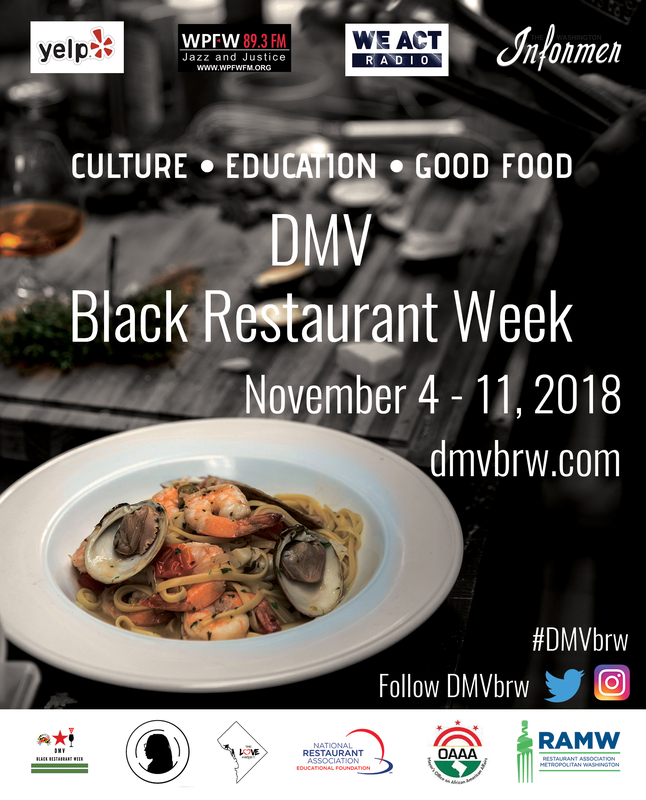 Washington, DC, Nov. 05, 2018 (GLOBE NEWSWIRE) — The National Restaurant Association Educational Foundation (NRAEF) is proud to announce its participation in the DMV’S first-of-its-kind Black Restaurant Week. The weeklong celebration began Sunday, November 4th and continues through Sunday, November 11th. The event will bring black restaurant owners, managers, chefs, caterers, thought leaders and financiers into one room to discuss options for entrepreneurial ventures and continuing education. The week not only promotes restaurants, but will recognize existing restaurants and close knowledge gaps through a variety of events. The week includes a Master Mixologist Cocktail Competition, Cocktails & Conversations at local restaurants and bars, an awards brunch and an education conference where the NRAEF will participate in conversations around continuing education in hospitality, employee retention and more. To learn more about all of the events, visit DMVBRW.com. For more information about how the NRAEF and its work to attract, empower and advance the future of the restaurant industry, visit ChooseRestuarants.org. As the philanthropic foundation of the National Restaurant Association, the National Restaurant Association Educational Foundation is dedicated to enhancing the industry’s training and education, career development and community engagement efforts. The NRAEF and its programs work to Attract, Empower and Advance today’s and tomorrow’s restaurant and foodservice workforce. NRAEF programs include: ProStart® – a high-school career and technical education program; Restaurant Ready – partnering with community based organizations to provide “opportunity youth” with skills training and job opportunities; Military – helping military servicemen and women transition their skills to restaurant and foodservice careers; Scholarships – financial assistance for students pursuing restaurant, foodservice and hospitality degrees; and, the Hospitality Sector Registered Apprenticeship Project – a partnership with the American Hotel & Lodging Association providing a hospitality apprenticeship program for the industry. For more information on the NRAEF, visit ChooseRestaurants.org.